Why would I need self storage in Los Gatos, CA? There are a variety of reasons why you might need self-storage in Los Gatos, CA. How much is a storage unit in Los Gatos, CA? The cheapest storage unit in Los Gatos, CA is $80.00 per month. What size storage units do you have available in Los Gatos, CA? In Los Gatos, CA we have sizes that range from 5'x5' to 10'x10' to suit your storage needs. How much is it for a 5'x5' storage unit in Los Gatos, CA? The cheapest 5'x5' storage unit in Los Gatos, CA is $80.00 per month. Situated south of the San Francisco Bay Area, Los Gatos is one of the oldest communities in Santa Clara County. Originally named for the mountain lions that lived in the nearby Sierra Azul mountain ranges, Los Gatos was officially incorporated in 1887. Though the town has a strong focus on the future, Los Gatos also maintains ties to its history, as its downtown is on the National Register of Historic Places. Just 15 miles south of Silicon Valley and 10 miles from San Jose, Los Gatos has close ties to the technology and innovation that Northern California is known for. With thousands of businesses within its borders, Los Gatos has a diverse economy that continues to attract visitors and new residents alike. Los Gatos is home to businesses in the health care, education, leisure, retail and hospitality sectors. Health care providers Columbia Bay Area Health care, Community Hospital of Los Gatos and Los Gatos Meadows are the town's largest employers. Los Gatos Union School District and Los Gatos-Saratoga Union High School District also provide hundreds of local jobs, as do real estate company Alain Pinel Realtors and recreation facility Courtside Tennis Club. In Los Gatos and the larger San Jose metro area, the largest industries include professional and business services, manufacturing, education and health services,and trade and transportation. As the economy continues to grow, information technology, construction and professional and business services are really taking off. Los Gatos offers a variety of things to do, whether you enjoy spending time outdoors, exploring local arts and culture, or browsing local shops. At New Museum Los Gatos, you can learn about the art and history of Los Gatos and the surrounding Bay Area. The city is also a popular spot for outdoor activities like trail running, hiking, road cycling and kayaking. 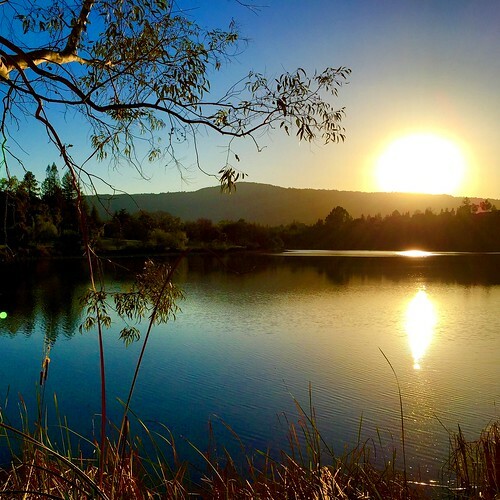 Or explore the Los Gatos Creek Trail, which offers plenty of space to enjoy the Los Gatos weather and scenery. Elementary and middle schools in Los Gatos are served by the Los Gatos Union School District. The Los Gatos-Saratoga Union High School District manages the local public high schools. You also have the option of enrolling your child in one of the city's private schools, with both secular and faith-based campuses available. Utilities: Pacific Gas and Electric and Silicon Valley Green Energy are the city's central energy providers. The San Jose Water Co. facilitates local water services. Garbage and Recycling: Trash and recyclables are collected curbside on a regular basis. Your pick-up schedule depends on your specific neighborhood. Transportation: The Santa Clara Valley Transportation Authority facilitates public transportation in and around Los Gatos. If you're seeking affordable homes in Los Gatos, you'll generally find a few options in the town's northwestern corner. If budget is no issue, you can focus your search along the city's northern edge and near natural attractions like Vasona Lake County Park and La Rinconada Country Club. The median home price in Los Gatos is drastically higher than the national average, reaching well into the seven digits. Rent is also fairly expensive in the city, especially because demand for housing is high. Our lowest priced units in Los Gatos, CA average $80.00 per month. 36 people have reserved units in Los Gatos, CA in the past 30 days. There is 1 location within Los Gatos, CA's city limits.